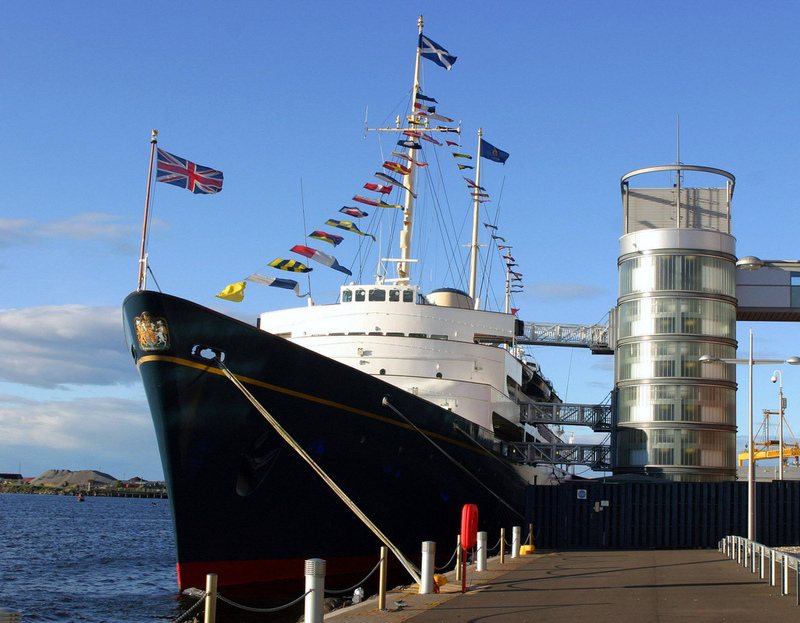 Britannia served the royal family for 44 years and is the only ship in the world where the captain was traditionally an admiral. Since its decommission it is docked in Leith, Edinburgh and the tour of 28 audio stops is one of the best we've ever done. It begins at the top level and works its way down to the bottom. First stop is the bridge. The single chair is for the captain. Everyone else is expected to be on their feet for their shift. Teak decks were maintained daily with a salt water scrubbing. Can you imagine the number of man hours this would take? Just beyond the staircase in the photo above is space reserved for the Queen's official touring car, a Bentley. In the 1950s it accompanied her on all official tours, but as host countries had access to suitable transportation it was left behind and this space used for other purposes. The promenade at the rear of the ship was where the Royal Family soaked up a few rays, played games, swam in a small portable pool or just lounged about until the ship made port. We were fortunate to have it all to ourselves for a few minutes. The enclosed glass room on the upper level is now a tea room. Entrance to the royal quarters is via either door on the promenade. This room is where the Queen drank her coffee each morning. The two wicker chairs were purchased by Prince Phillip while they visited Hong Kong. At the far side is an easel and concealed bar. In contrast is Prince Phillip's almost austere bedroom. Across the hall are the guest bedrooms. This room is the only one with a double bed. It was brought on board by Prince Charles when he married Princess Diana. On the next level down is the formal dining room reserved for guests and the Royal family. The table can be extended to sit 54 persons and takes the staff three full hours to set the table to the most stringent of details. However, leaves can also be removed to accommodate just four persons for a more intimate meal. Tiny galley rooms nearby house the china and cutlery. After dinner the Royal family and guests would retire to the drawing room. 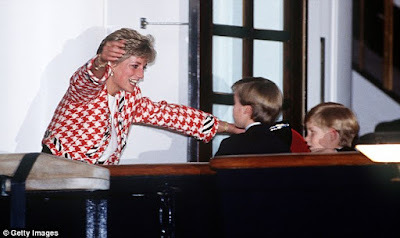 Out of sight in the left hand corner is a baby grand piano that Princess Diana particularly enjoyed playing. Next destination is the Queen's office. It is here she dealt with the business of the day. Prince Phillip's reading room is directly opposite and both he and the Queen were involved in the decor of the rooms. The crews' quarters vary from a small, but private room for the Captain not far from the bridge, to rather cramped if not claustrophobic quarters for those at the bottom of the totem pole. The captain had his own dining room to share with his closest crew members. Also on board were a number of rooms where the crew could unwind and relax. We also spotted two bars, although there may have been more! There was also a place where visitors could try on a uniform. John opted just for the hat. The same room offered a chance to take a selfie with a corgi sipping a little beer. How could we pass up that opportunity?! What may have been the tuck shop is now a candy store that features fudge baked daily on Britannia. The aroma was tantalizing! With each crew member having up to seven or more uniforms it's likely the laundry room was one busy place. It is said when the ship was in the tropics the temperature inside the laundry room could sore to more than 45C. Last but not least, no tour would be complete without the engine room. Britannia was launched on April 16, 1953 and served the Royal Family for over 44 years. She travelled over one million miles - the equivalent of sailing around the world every single year she was in service. Britannia was a floating Royal residence for state visits, official receptions, Royal honeymoons and relaxing family holidays. If you get a chance see it for yourself. In closing, just a final snapshot of Charlie and Leo sunning themselves in the garden. Adorable, eh?